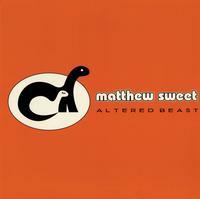 Intervention Records and Matthew Sweet are proud to introduce an amazing NEW Artist-Approved reissue series, Matthew Sweet 1991-1995! In 2018 Intervention is releasing Hybrid SACD artist-approved expanded editions of sweet's trilogy of 90's power-pop classics, Girlfriend, Altered Beast and 100% Fun. Each Expand Edition Hybrid SACD set of the three classic studio albums is loaded with extra tracks not included on the original LPs — six extra tracks each on Girlfriend and Altered Beast, and seven on 100% Fun (see IR website for track listings and other details). And for Sweet completists, these albums are the most extensive collection of extra tracks compiled and packaged with the studio albums the songs were recorded for! All four albums are 100% analog mastered from the original analog master tapes direct to DSD by Ryan K. Smith at Sterling Sound. They feature analog-like sound and are house in super jewel boxes.